Making big changes in how an organization runs is never easy, and doing so at sprawling UW Medicine would daunt anyone. There, 25,000 employees care for patients across eight entities that include the University of Washington Medical Center, Northwest Hospital & Medical Center and Harborview Medical Center. Johnese Spisso, the system’s chief health officer, seems unfazed, displaying the patience of the nurse she once was. 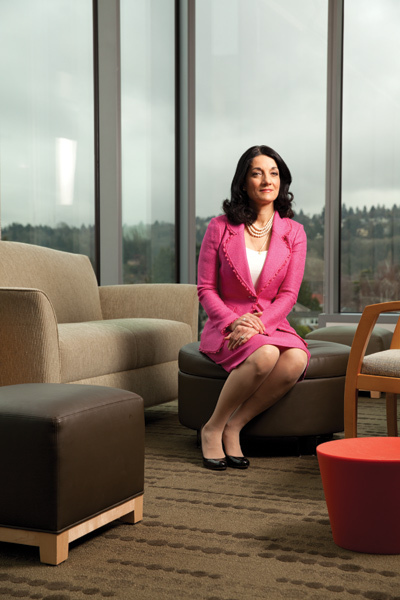 During the past six years, she has led the transformation of UW Medicine into an Accountable Care Organization, where care is integrated across the entire system to control costs and improve patient outcomes. The transition complies with national health care reform, but Spisso also embraces it as a way to benefit patients, physicians and the public. 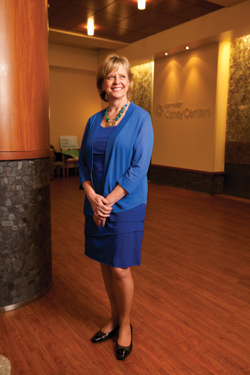 in her time at the helm of Northwest Kidney Centers, Joyce Jackson has watched the need for kidney dialysis become greater. Due to a rise in precursor conditions like diabetes and high blood pressure, one in seven adults in the United States now suffers from kidney disease, up 30 percent in the past decade. That’s certainly not good news, but Jackson’s steady leadership helped strengthen the nonprofit center to take on the challenge. It now provides dialysis at 15 centers, more than double the number since the start of her 15-year tenure, with more than one-sixth of patients receiving dialysis at home. Survival outcomes, as well as transplant referrals, outperform national averages. Jackson also drove the creation of the Kidney Research Institute, a collaboration with UW Medicine in which $35 million in federal grants now helps support 46 groundbreaking studies. In the meantime, education to prevent kidney disease remains a core objective. Free classes to the public on nutrition and lifestyle habits may help reverse a disturbing trend. Dr. Claire Trescott has led Group Health to groundbreaking health care reforms not just once, but twice. As a vigorous advocate of the “medical home” model of integrated care teams, she launched a pilot program that soon spread the patient-centered approach to all of Group Health’s 26 clinics. Trescott also helmed efforts to administer opioids such as oxycodone and hydrocodone more safely. Increased reliance on these drugs for chronic pain management had tripled rates of addiction and overdose. The new care plan would later contribute to a federal action plan to curb opioid abuse.